Home Gadget and Tech Reviews Asus unveils Eee Pad Transformer Tablet in the Philippines! Asus unveils Eee Pad Transformer Tablet in the Philippines! 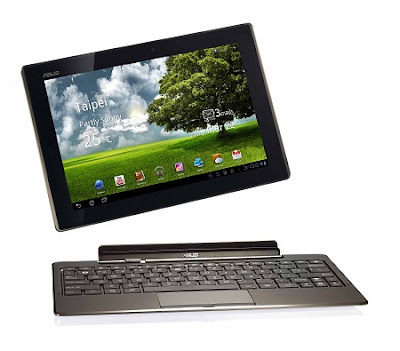 Asus Eee Pad Transformer Tablet with device code TF101 is powered by the NVIDIA Tegra 2 dual-core processor, the Transformer also has IPS Panel made from scratch-resistant glass that is viewable at angles up to 178 degrees (faced with Gorilla Glass). Asus Eee Pad Transformer Tablet is worth PhP 22,995 in SRP with optional dock that would cost around PhP 7,000 -but it helps great to double the battery life and provide more keyboard typing convenience. This gonna be the most versatile tablet this year!